In Edgar Wright’s exhilarating genre pastiche Baby Driver, lanes of traffic become dance floors for swerving vehicles, gunshots ring out like bebop punctuation, and even the tough-guy patter has a musical quality, a rat-a-tat rhythm. Wright, the director of Shaun Of The Dead, Hot Fuzz, and a couple other peerless laugh riots, has crammed a jukebox musical under the hood of a gearhead crime caper. His clever hook: The movie’s hero, an underworld wheelman played by Ansel Elgort, has a lifelong case of tinnitus, and he drowns out the high-pitched whine by flooding his damaged eardrums with music, a constant stream of good vibrations piped in from the candy-colored iPods he keeps in his pockets. Wright has always had a movie like this in him, and not just because he’s been dreaming about it since the ’90s. Up until now, the filmmaker has used his supreme technical prowess mostly for the purpose of jokes, scoring big laughs through crack timing—the quick cut to a priceless reaction shot, the delirious flurry of goofball montage, the way his camera lurches from actor to actor with a kind of precise slapstick sentience. But like all great parodists, Wright knows what makes his targets tick, and he’s a pro at mimicking the language of the movies he loves. 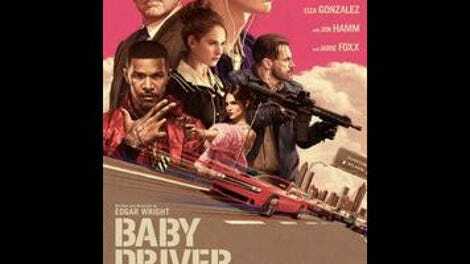 Featuring some of the most astonishingly orchestrated action of Wright’s career, Baby Driver simply pushes humor, usually the driving force of his work, into the backseat—though like Get Out, this year’s other directorial departure from a comedy veteran, it’s still funnier than the majority of straight yukfests to open in its general vicinity. Baby (Elgort) drives for Doc (Kevin Spacey), the dry-witted Atlanta kingpin he’s owed since adolescence. The lowlifes our young hero speeds to safety often distrust him—partly because he looks and sounds like Ansel Elgort, comically out of place in a den of thieves, but also because he seems constantly lost in his own world, pantomiming the piano he hears in his ears while the boss explains the big score. But Baby more than proves himself behind the wheel, when the car becomes an extension of his own body, gliding gracefully across pavement and performing balletic 180-degree spins to get out of tight spots. The audience, too, quickly understands why the wholesomely handsome YA poster boy from The Fault In Our Stars has been thrust into the driver’s seat: Putting his background in dance to ecstatic good use, Elgort spends the opening minutes lip-syncing and boogieing to the dirty jangle of “Bellbottoms” by The Jon Spencer Blues Explosion, all from inside an idling getaway car. His smooth moves—hugging the wheel like a lover, stealing rhythmic sidelong glances to the crime in progress—create their own instant gravitational star power. Starting as a revamped remake of the video Wright made for Mint Royale’s “Blue Song” before tearing into a feverish car chase, the opening sequence is the movie’s first big set piece. But the truth is that Wright has a way of obliterating the distinction between “on” and “off” moments; everything in Baby Driver, from the rubber-on-road action scenes to the expositional conversations, is its own kind of set piece, engineered to hit pleasure centers with homing-missile accuracy. Wright’s eclectic, wall-to-wall party mix similarly blurs lines, finding egalitarian kinship between disparate dials on the FM radio, like a deconstructed Girl Talk record. He sets a chaotic escape to the kinetic gallop of The Damned’s “Neat Neat Neat,” rides the hilarious funk come-ons of Beck’s “Debra” to a meet-cute communion, makes the The Commodores’ overplayed “Easy” sound new and vibrant and heartbreaking again. The hits keep coming, ruining themselves for future cinematic use, and Wright knows how to transform them into metronomes for sequences that burn themselves into your brain, syncing his steel-trap editing to the tempo of every show-stopping track. You might think of Drive, to which this sometimes plays like the sunnier B-side, brightly answering that movie’s nocturnal Los Angeles melancholy with a less moody, less violent story of a driver who’s really a lover with pop in his heart. But in its euphoric movie-drunk showmanship, Baby Driver is also a spiritual relative to La La Land, right from an early scene of Elgort strolling across a humming A-Town neighborhood, popping in and out of a cafe in one extended virtuosic take, propelled by the magic flowing in through his earbuds. (Watching him move, you start to wonder what that Oscar-winning spectacle would look like with a star who could really hoof.) Baby, who’s really just a sweet orphan with DJ aspirations and a debt to pay, eventually falls hard for Debora (a beaming Lily James), the friendly waitress he meets at his perpetually deserted diner hangout. The two spend their first date at a laundromat where the clothes tumble dry in a color-coded blur, like synchronized background dancers. Naturally, they break the ice by swapping cherished songs. Everyone on screen is some shade of archetype; with names like Buddy and Darling and Bats, the villains are criminals in quotation marks. The film’s second half, which plunges Baby into a dangerous job with unstable accomplices, leans heavily into the crime side of its hybrid equation, with lots of tensely knotty discussions that recall Wright’s kindred spirit in film-geek appropriation, Quentin Tarantino. Yet these scenes possess their own dazzle and snap, their own charge of personality, thanks to the offbeat flavor of the dialogue, and to the actors modulating their menace in different directions: Spacey doing some strange mix of paternal regard and cold-blooded calculation, Jamie Foxx somehow downplaying homicidal insanity, Jon Hamm implying (then releasing) reservoirs of murderous rage beneath his strung-out-junkie calm. Wright shares with Tarantino an affinity for offhand delights; he’ll stop his movie cold to let two characters sit and listen to a Queen song. 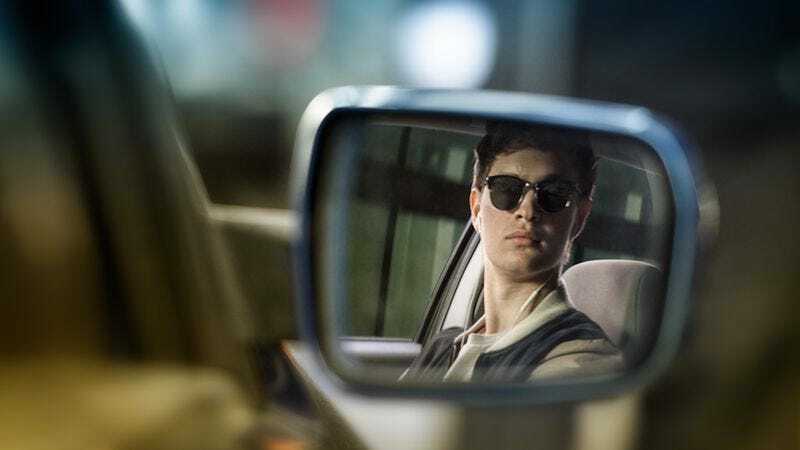 Baby Driver becomes the rare QT-indebted gabfest to approach the cool of the genuine article. What the film lacks is the sharp, multi-dimensional characterizations of Wright’s work with Simon Pegg, the so-called Cornetto Trilogy. It’s closer in spirit (though not zany comic tone) to his Scott Pilgrim Vs. The World, which similarly provided a never-ending daisy chain of formally inventive and musically propulsive moments, wrapped around a love story of mostly abstract interest. “I’ve got to start the song over,” Baby insists at one point, holding up a heist because his cue passed; if Dominic Toretto lives his life a quarter mile at a time, this cuddlier speed demon lives his in verse-chorus-verse increments, timing everything to the tunes in his head. He’s not the deepest character, but he’s one hell of a reflective beacon, mirroring the style, enthusiasm, and control of the technical wizard guiding his movements from behind the camera. Like Baby, Wright just wants to feel the music. He makes us feel it, too, one spectacular pleasure high after another.